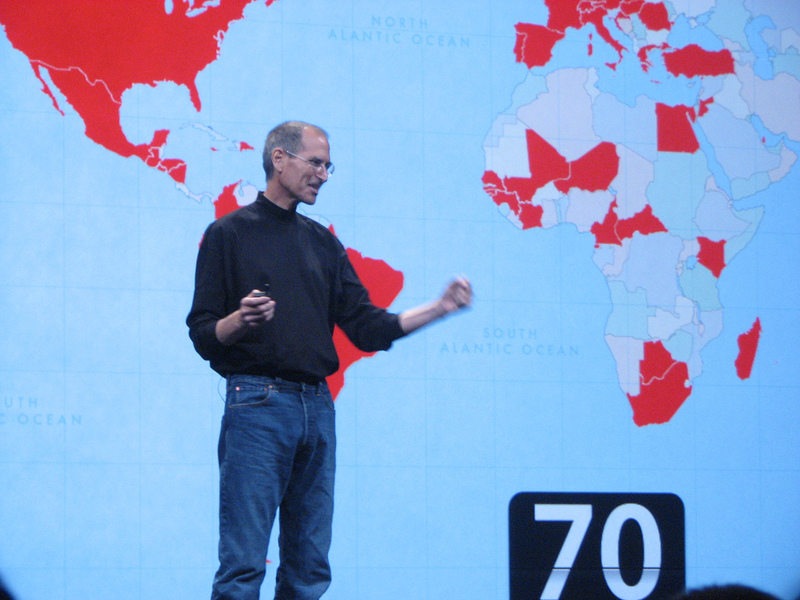 Making it all about the audience is our first really powerful step towards emulating the Steve Jobs style of speaking. The next step is passion. From every moment Steve is on stage what we get from him is the excitement of having the chance to share this new creation with us. When he demoed the iPhone or IPad, he was excited by every single feature. Even when he delivered boring technical specifications, it visibly thrilled him. We all know what a turn off it can be when a speaker doesn’t speak with passion about a topic but does that mean that being passionate will always have a positive effect? We have all seen presentations where passion has had no impact, they’re the presentations where we’re left wondering, “Why is he so excited about this, it’s just a computer, it’s just a phone”. And with that relevance and passion, your audience stops being just the people in the room, it becomes everyone they know and their friends and their friends. What’s the message that you want to share with the world? Tagged apple, audience, passion, presentations, public speaking, relevance, speak like steve jobs, steve jobs. Bookmark the permalink.